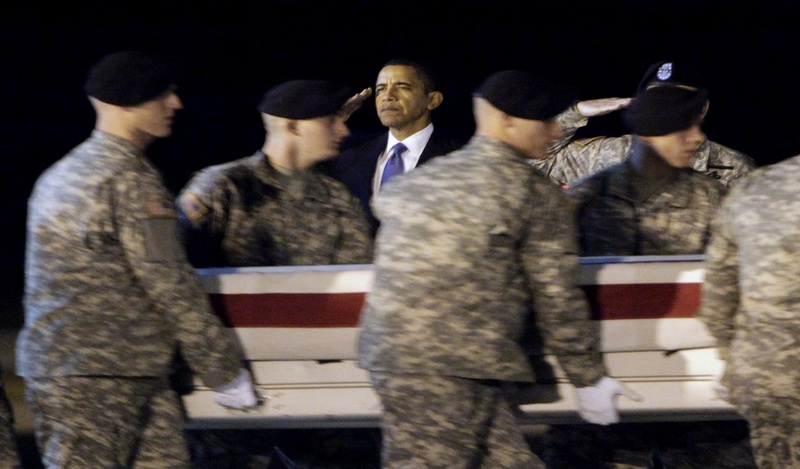 In this Oct. 29, 2009, file photo, President Barack Obama, center, salutes as an Army carry team carries the transfer case containing the remains of Sgt. Dale R. Griffin of Terre Haute, Ind., during a dignified transfer event at Dover Air Force Base, Del. Trump in a radio interview Tuesday suggested that President Barack Obama did not call John Kelly, a former Marine general who is now Trump's chief of staff, when his son, Marine 2nd Lt. Robert Kelly, was killed in Afghanistan in 2010. A White House official later said that Obama did not call Kelly but did not immediately respond to questions about whether the former president reached out in some other fashion. Trump had said in a news conference Monday he had written letters to the families of four soldiers killed in the Niger ambush and planned to call them, crediting himself with taking extra steps in honouring the dead properly. "Most of them didn't make calls," he said of his predecessors. He said it's possible that Obama "did sometimes," but "other presidents did not call." Trump's suggestion that his predecessors fell short in that duty brought a visceral reaction from those who witnessed those grieving encounters. "He's a deranged animal," Alyssa Mastromonaco, a former deputy chief of staff to Obama, tweeted about Trump Monday. With an expletive, she called Trump's statement in the Rose Garden a lie. The record is plain that presidents reached out to families of the dead and to the wounded, often with their presence as well as by letter and phone. The path to Walter Reed National Military Medical Center and other military hospitals, as well as to the Dover, Delaware, Air Force Base where the remains of fallen soldiers are often brought, was a familiar one to Obama, George W. Bush and others. Bush, even at the height of two wars, "wrote all the families of the fallen," said Freddy Ford, spokesman for the former president. Ford said Bush also called or met "hundreds, if not thousands" of family members of the war dead. Retired Gen. Martin E. Dempsey, former chairman of the Joint Chiefs of Staff, confirmed those contacts, tweeting: "POTUS 43 & 44 and first ladies cared deeply, worked tirelessly for the serving, the fallen and their families. Not politics. Sacred Trust." The White House said letters would go out and calls would be made to the families of the slain soldiers in Niger on Tuesday. 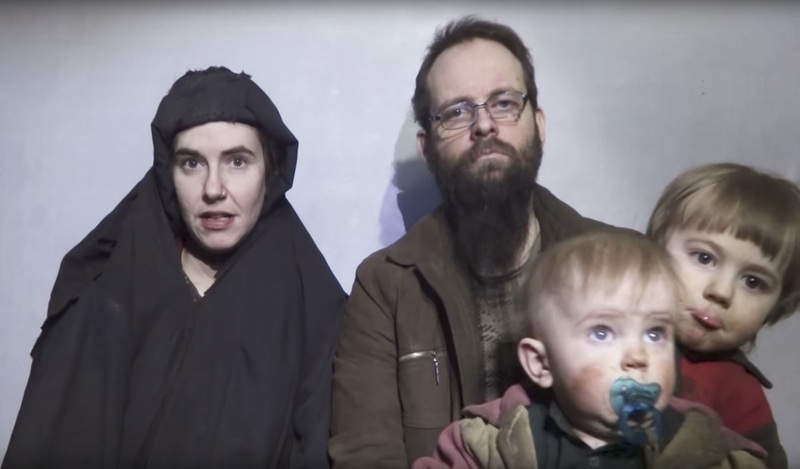 The family of Staff Sgt. 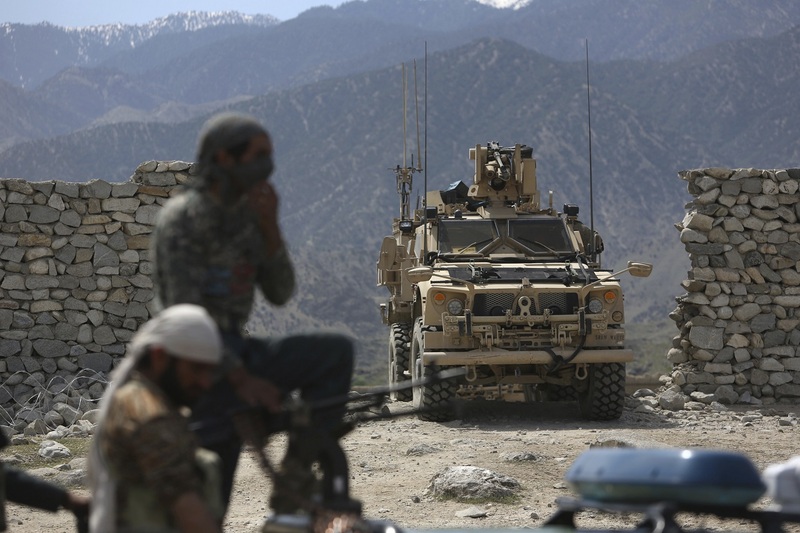 Dustin Wright, one of the soldiers, was told by an Army casualty assistance officer to expect a phone call from Trump by Tuesday evening, said Will Wright, the soldier's brother. "He asked if the family would like to be contacted and if we'd be available to speak with the president," Will Wright said from Lyons, Georgia, where funeral services for his brother were held Sunday. "My mother and father said yes." The soldier's family in rural southeast Georgia has received "immeasurable support from the administration" and the military since he was killed Oct. 4, Will Wright said. He added that it would be "a great honor" to hear from Trump personally. "If I got to speak to him, I'd tell him he's got the hardest job in the world," Will Wright said. "I know his heart is heavy because that's his job, and I'd tell him not to let my brother's sacrifice deter him." Kellyanne Conway, a senior White House adviser, further suggested Tuesday that there were many ways to console a grieving family and said that Trump doesn't always make public when he is doing that "because these are very private, very solemn sacrosanct really moments." Trump visited Dover early in his presidency, going in February with his daughter Ivanka for the return of the remains of a U.S. Navy SEAL killed during a raid in Yemen, William "Ryan" Owens. He did not go for those killed in Niger.